Ar. Dr. Tan Loke Mun, Archicentre Sdn. 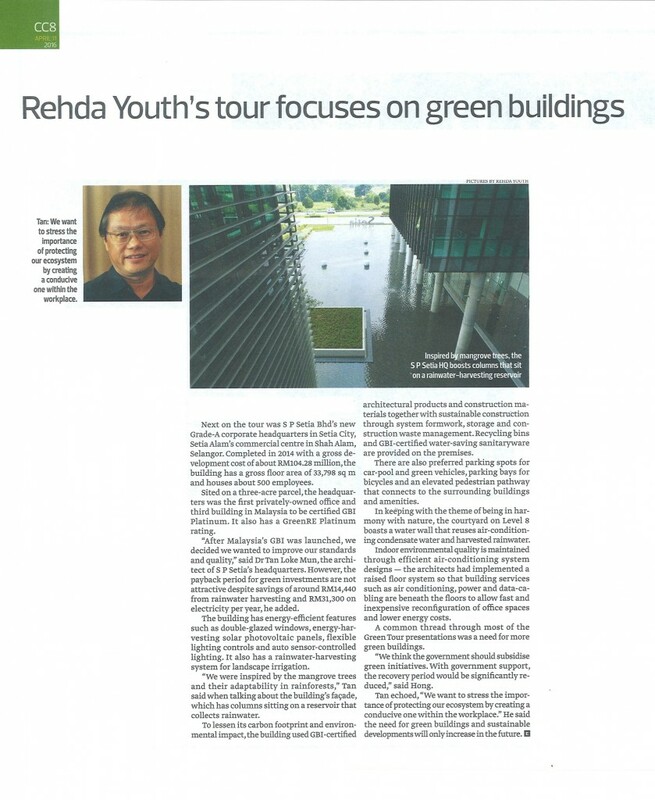 Bhd., briefed REHDA Youth Green Tour At SP Setia Corporate HQ on 9th March 2016.